Growing up in Indiana gave me a strong attachment to the Amish people and their unique culture. Indiana has the second highest population of Amish after Ohio, which is where I was born. Even after leaving and moving to California, the Amish were always of great interest to me. 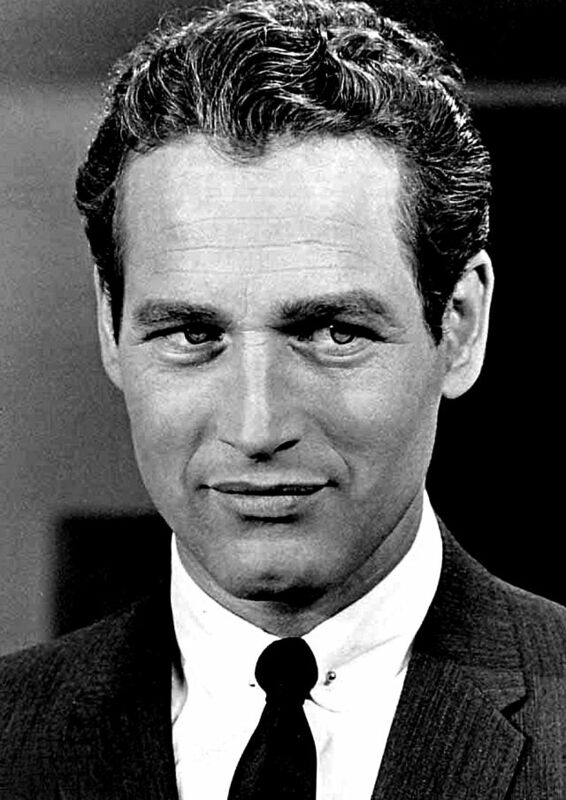 My own grandfather, although of Prussian heritage, looked and spoke very much like the Amish, his dialect of German was like the Old Order Amish and this may have encouraged my deep affection for them. He was a master carpenter, as are many Amish men and took great pride in the quality of his work. My abhorrence of guns, war and violence, may or may not be a result of this. Later, when my children were young, an Amish quilt was on every bed in our home, all hand-made. Each time I went back to Indiana for a visit, going to one of the many Amish Communities, was always a part of my trip agenda. The Amish are in many states across this country, including a few here in Florida, but the highest population is in Ohio, at about 55,000, where the disturbing story on the news this morning was focused. There has been a rash, or serious outbreak of measles in Ohio, said to be the most in this country since 1996 and it is believed to have come from within the Amish Community there. 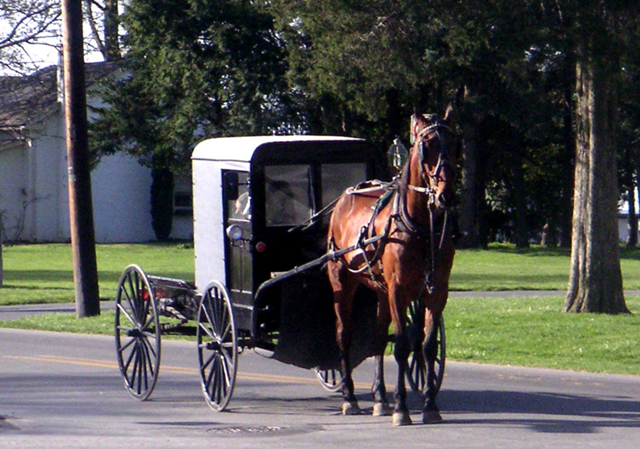 People often believe, erroneously, that the Amish do not believe in any vaccines or immunizations for their children. Some of them do, some do not, they have varying opinions on the subject, as do many who are not Amish. The reason for most of the concern in this current measles outbreak is, primarily because of the risk of it now becoming wide-spread throughout the Amish Community and then to others in nearby areas. For so many years, both before and after growing up, I heard the snickers, saw the rudeness and listened to the cultural bias and complete ignorance from those on the outside, towards these gentle, peaceable people. This lack of understanding, or compassion for the Amish people and their culture, may have played some small part in the murder of innocent Amish school children. It seems incomprehensible, that when some people do not understand a cultural group, or a religion, they can and frequently do fear it to the point of spouting hurtful, social insults, or even harming those that they do not understand. The Amish came to this country to escape abusive treatment, it is so disappointing that some here cannot allow them to pursue the religious freedom here that they seek. So now that once again their community is in the glare of the public spotlight, that they so constantly shy away from, could we instead of pointing fingers and playing the “blame game,” perhaps offer instead a little kindness and warmth? Long before all of the movies, the TV shows, the books, exposés and all of the ugly Hollywood hype, the Amish came to America looking for a better life, for religious freedom, for peace. This Country spends billions helping people all over the world, so why do we care so little for those who live right here in America, perhaps just down the street or across town? If you don’t know anything about the Amish, won’t you please take the time to learn just a little? The Amish really are pretty much just like you and me, they love their families and want peace in the world. Right now, their Communities are hurting, how can you/we not show them some of the same concern that we do to those thousands of miles away? Perhaps we could all use a little Amish attitude adjustment? 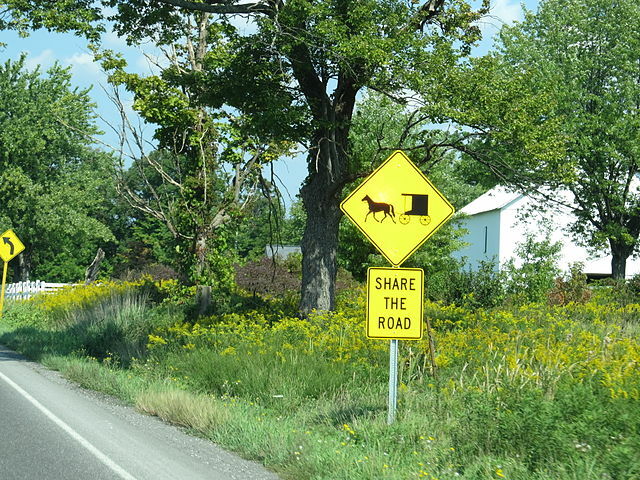 Ohio cases among Amish drive bad year for measles across U.S.